How to improve customer loyalty? With this module you can display additional information directly on the invoice, delivery slip, order slip and order return to increase the post-purchase satisfaction of your customers. Your customers receive their orders, but the invoice or delivery slip, without interest, was quickly discarded. Today, it is over, thanks to our module you can customize your PDF to enhance your vendor-customer relationship. 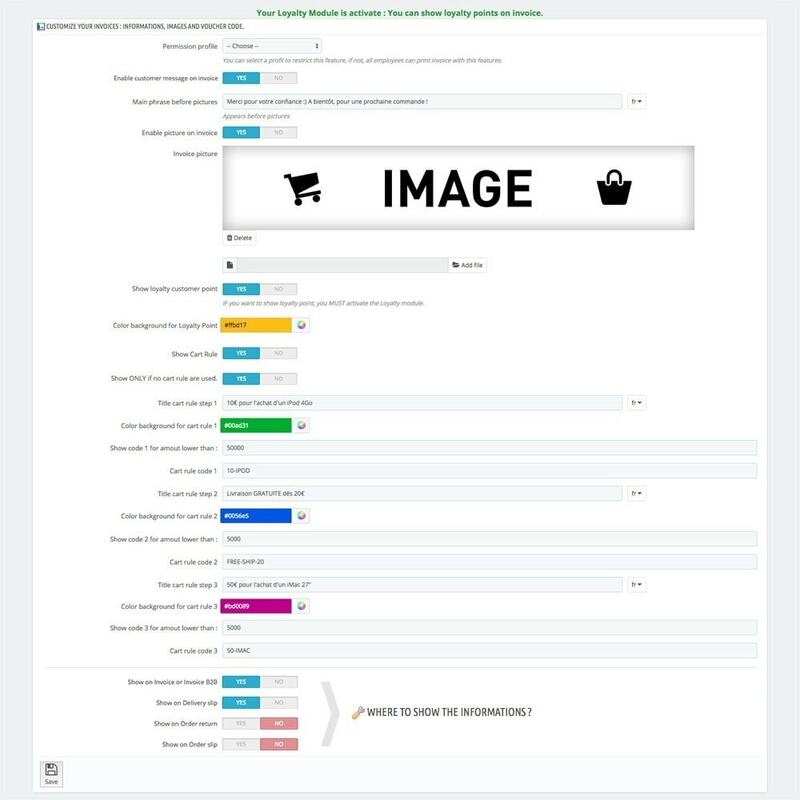 Indeed, you can display a message to the customer, their loyalty points, an image presenting the news, any customer’s messages and promo codes to use for future purchases. 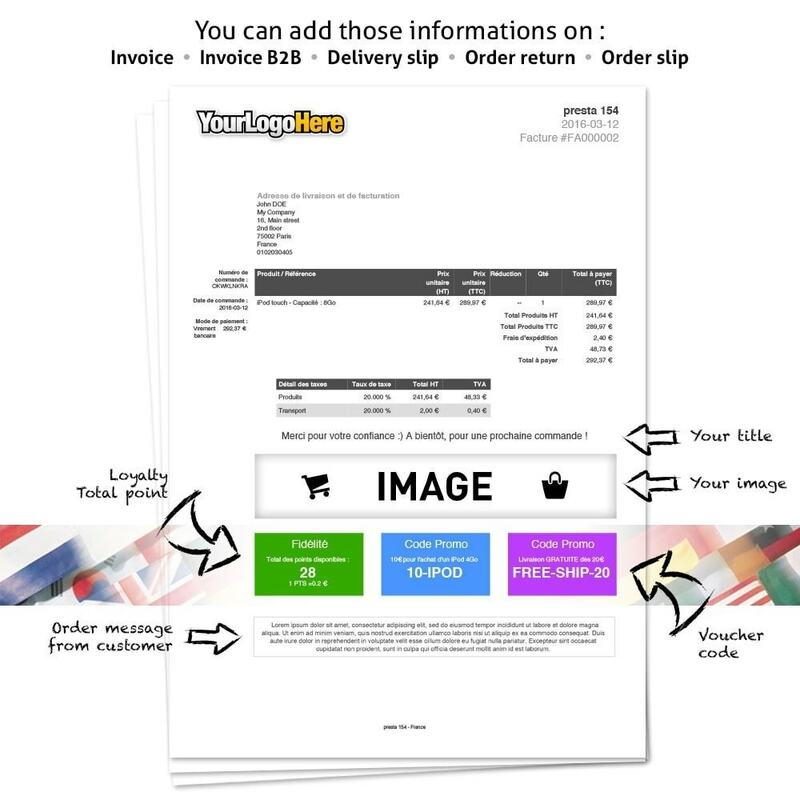 The informations added on the invoice, delivery slip, order slip and order return are visible only when printing thereof by the seller. The informations are not visible to the customer if he gets his bill or other since its customer area. Configuration and upload the image to appear on the bill. 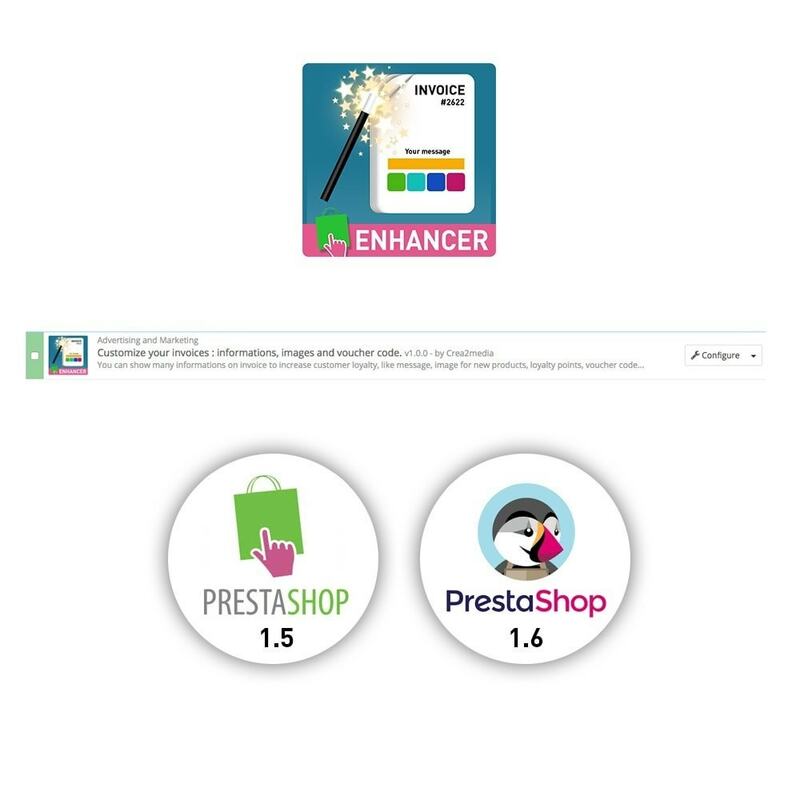 Ability to view promotional code only if the customer has not used. Ability to restrict the display of additional information by employee profile. Your customers are reassured when receiving their order through this personalized PDF allowing, for example, monitoring of its points or will be reassured that their details are taken into account﻿ ! To view the customer reward points, you must install the "Loyalty program" module. This module does not create cart rules, you must create them first. It remains you to customize text, images and codes.